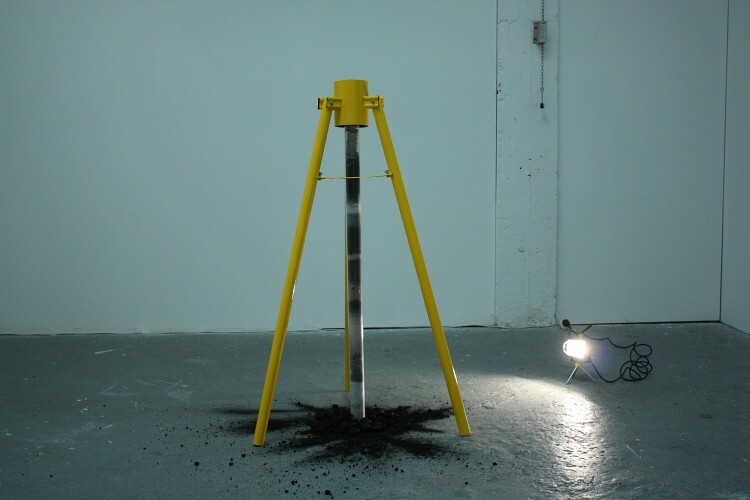 'Unearth,' 2012. 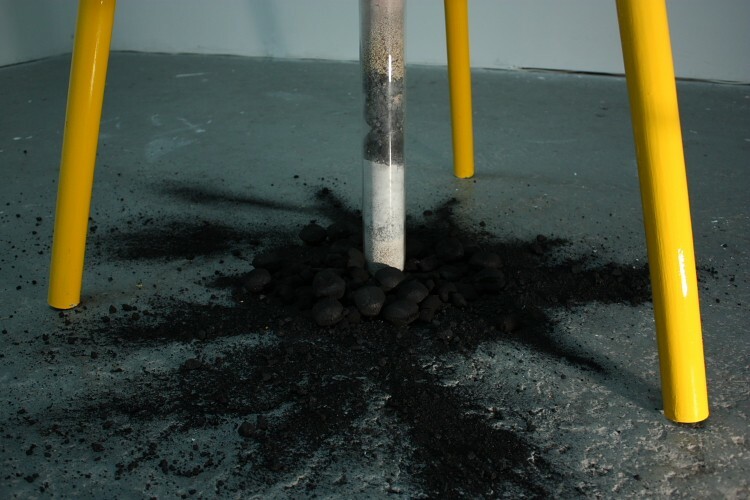 Mock geological-core drill with stratified layers of earth, soil, sands, clays; shattered coal; appropriated image. Dimensions: 1.5 x 1 x 1m. 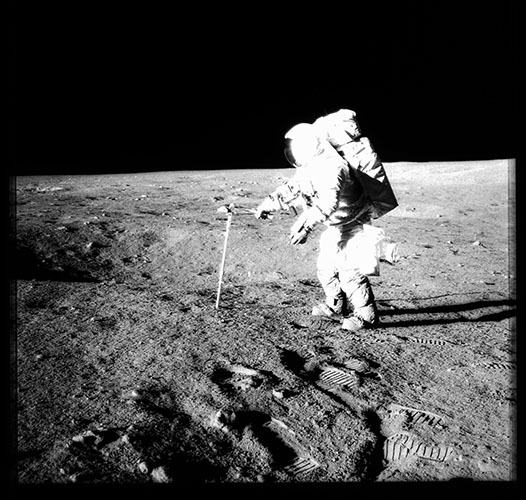 Appropriated NASA image showing Alan Bean of Apollo 12 (1969) taking a core sample on the moon. 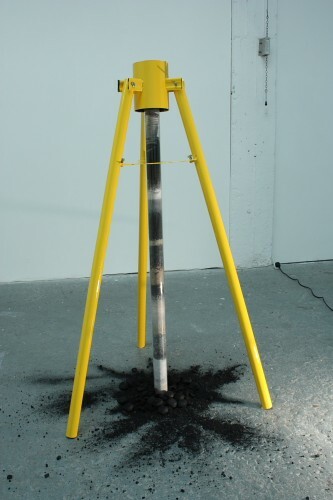 Sculpture. 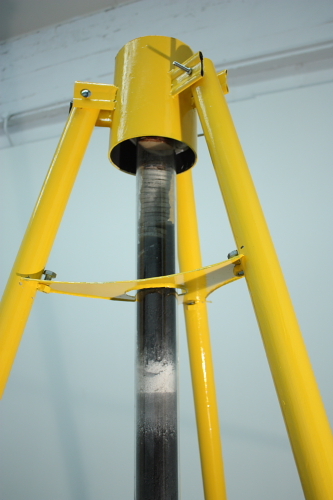 Modelled on the rigging of a geological core drill. Hand-made steel tripod; 1.5 m glass tube, with stratified layers of sands, soils, stone, carbon; coal slack. 1.5 x 1 x 1 metres (H x W x D).